The 2015 Dodge Journey is an affordable, midsize crossover SUV that can seat up to seven passengers, without sacrificing storage space nor forgetting the importance of a passenger's comfort. New for 2015 is the option of certain models to receive five years of free service for Travel Link and SiriusXM when utilized with the Uconnect 8.4 touchscreen. Certain models that offer SiriusXM will now be available with one free year of service. The Dodge Journey features numerous power configurations. The Journey models AVP, SXT, Crossroad and SE come equipped with a standard 2.4-liter 16-valve DOHC four-cylinder engine. The 2.4-liter engine offers 166 lb.-ft of torque and 173 horsepower when utilized with a four-speed automatic transmission. Dodge's award-winning 3.6-liter Pentastar is available as an optional engine on the Crossroad and SXT models, yet comes standard on the R/T, Limited and all-wheel drive models. The 3.6-liter Pentastar V-6 engine, when linked to a six-speed automatic transmission, produces 260 lb.-ft. of torque and 283 horsepower. The Dodge Journey also offers a great five-year/100,000 mile limited powertrain warranty, to give buyers peace of mind that their Journey will remain powerful and efficient. 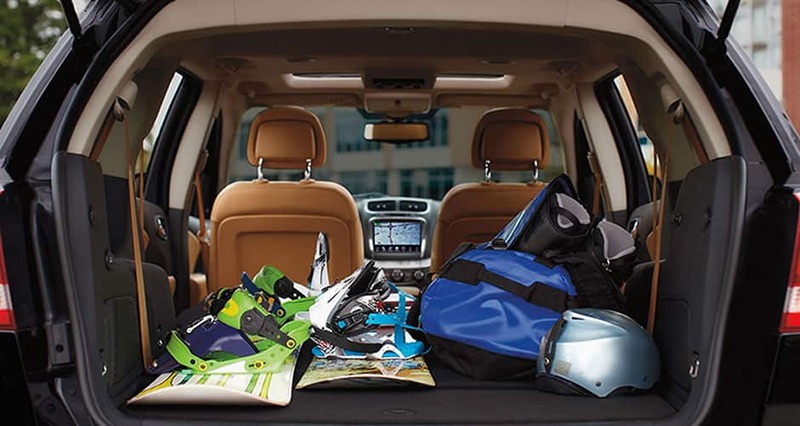 The Dodge Journey comes equipped with great interior features, like standard manual air conditioning, tilt/telescoping steering wheel with audio controls, a touch-screen stereo with 4.3-inch display, both USB and MP3 ports, and second-row floor bins. Optional interior features include leather-trimmed seats, automatic air conditioning, heated front seats, a storage compartment inside the front-passenger seat, built in second-row booster seats and infinity premium stereo. Dodge's excellent Uconnect technology is also available, and it utilizes an 8.4-inch touch-screen system. Exterior features make for a slick, sporty style and include standard flared fenders, dual exhaust tips (with V-6 engine), a crosshair grille and power heated side mirrors. Roof rails, fog lights, a power sunroof and LED taillights are also available. The Dodge Journey features great standard and optional security features to keep you and your passengers safe while enjoying the ride. Coming standard to the Journey are anti-lock brakes, front airbags, side-impact airbags (front seats), an electronic stability system, driver's knee airbag, side curtain airbags, front active head restraints, trailer-sway control and electronic roll mitigation. Available features ensure that you will have increased visibility, with the optional backup camera and rear parking sensors. 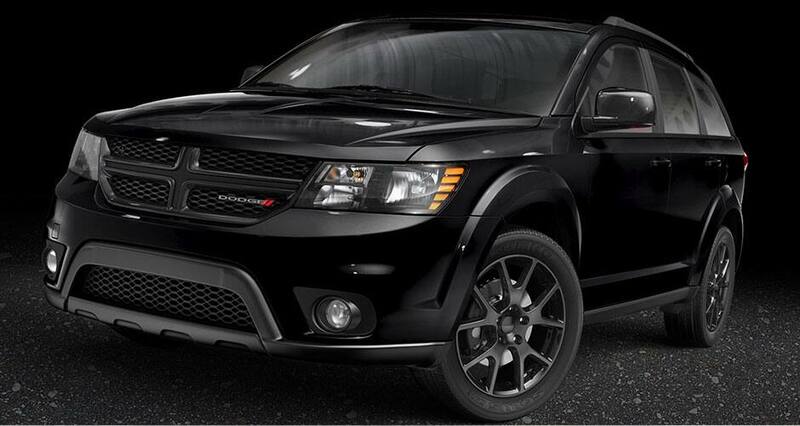 Have a question about the 2015 Dodge Journey? Give us a call, or fill out the form below, and we will be in touch!